The new Italian-designed concert hall in the middle of the desert shimmered in the sunset light, its walls of mirror reflecting the golden sandstone hills and cliffs. Inside, a symphony orchestra from China rehearsed a Western classical piece, preparing for a concert featuring Chinese pianist Lang Lang. The serene and lilting notes floated through the empty hall. From the western desert, Saudi Arabia appears to be a different country than the one that has been under constant criticism from U.S. politicians and other international officials since October, when Crown Prince Mohammed bin Salman, the 33-year-old de facto ruler, was first accused of ordering the killing of Jamal Khashoggi, a Virginia resident and Washington Post columnist. The CIA has since concluded that the crown prince was responsible for Khashoggi’s killing, and its strongest evidence includes intercepted conversations. The Saudi government denies he was involved. Crown Prince Mohammed has also come under international criticism for imprisoning human rights activists and detaining hundreds of people in a hotel, as well as for waging a war in Yemen that has fueled what the United Nations calls the world’s worst man-made humanitarian crisis. The strategy is in line with Crown Prince Mohammed’s efforts to loosen restrictions on entertainment and expressions of popular culture. 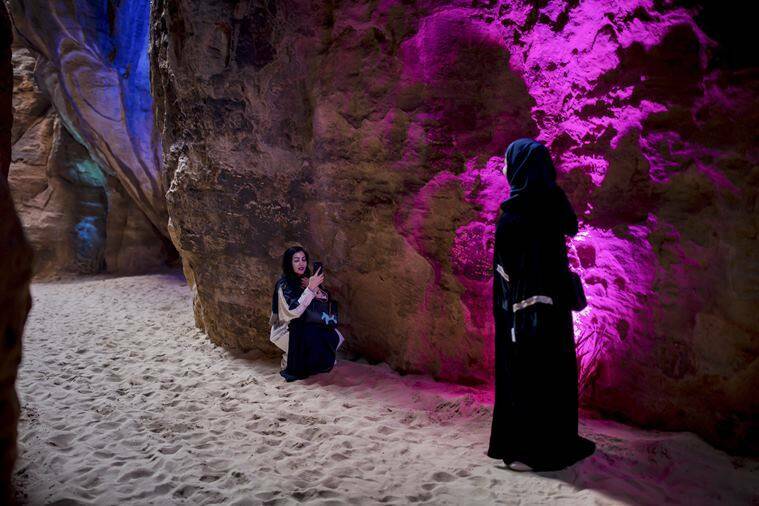 The centerpiece of the area is Mada’in Saleh, or Al Hijr, a collection of more than 100 towering tombs carved into hillsides that take on the glow of burnished gold at sunset. This was the southern reach of the realm of the Nabateans, who carved Petra, the famous sandstone city in Jordan. 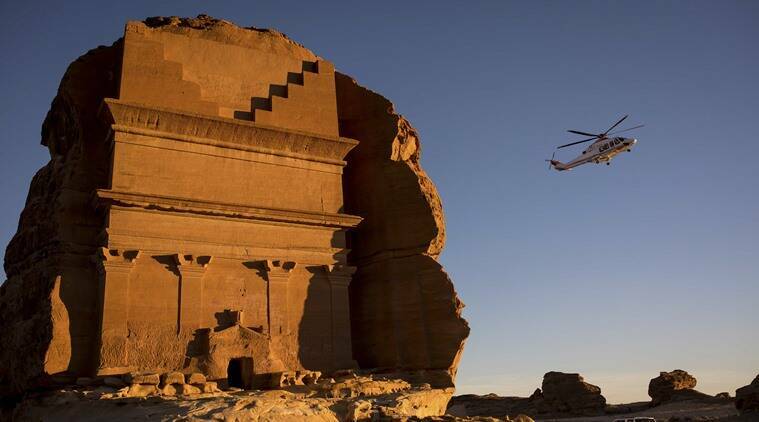 The tombs date back two millenniums, and many Saudis believe them to be cursed, the abode of jinn. Among the tourists was a Chinese-British couple who gaped at the structures and took photographs and video to post to a Chinese travel website. Walking into one tomb, they asked about three burial niches. Al-Anzi said the custom then was to wrap the dead in animal skins and adorn them with jewelry. Driving out of the area, the tourists noticed abandoned mud-walled homes. “The people were asked to move after this was designated Saudi Arabia’s first World Heritage Site,” al-Anzi said, referring to a label given by a U.N. agency. Hussein Ibish, a scholar at the Arab Gulf States Institute in Washington, said the entertainment piece of Crown Prince Mohammed’s vision “is very large, and constitutes the revolutionary reintroduction of ‘fun’ to a society in which public entertainments have been basically eliminated for decades.” But because this plan involves exchanges with the West, that creates a conundrum, Ibish said. The weekends revolve around the concerts, held Fridays. There are sometimes other notable events, like hot-air balloon rides. Bocelli performed on the same weekend as a well-known horse race that drew royalty from around the Gulf region. 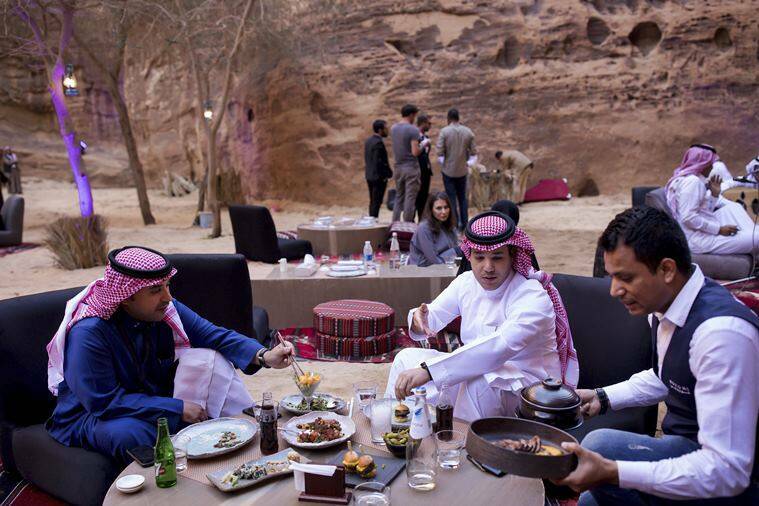 For the weekend of the Yanni concert, the prices ranged from $1,400 for a day-trip package (round-trip flight from Jiddah or Riyadh, the capital, included) to $6,000 for a “diamond” weekend package — prohibitive costs for many Saudis. Al-Bilawi and his colleagues are aware the work is only temporary. Another driver, Faisal, also a university graduate, said he was paid $36 per day and worked only on weekends, but was grateful for the job. On Jan. 31, tourists began flying in for the concert by Bocelli, who was to perform the next night. Most appeared to be wealthy Saudis, although there were some foreign residents of the country, too. Published on Tue, 12 Feb 2019 06:40:31 GMT, © All rights reserved by the publisher.